4/52: For her (of course). 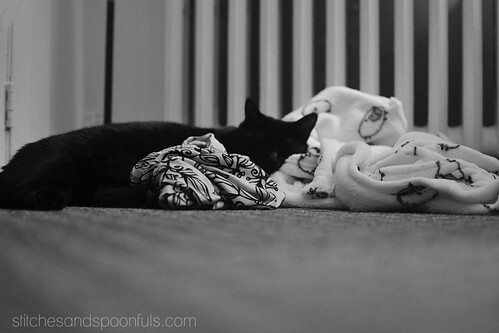 Every week this year, as a little photo challenge, I’m sharing a black and white shot of my roommate’s cat. To see all of the photos so far, go here. Certain that the clothes left on the floor must be for her evening nap. Obviously. Previous Post Morning Glory Muffins. Next Post Brambles for H (take two). It is always obvious to them – LOL! My cat Buddy always wants to lay on what I need or where I want to sit! She definitely knows the most inconvenient place to sit when I’m trying to get things done (she especially likes my computer when I’m trying to do work). I recognise my cats in her.